Congratulations on reaching a settlement. Now comes the fun part – executing an enforceable California settlement agreement. The settlement agreement should include all the terms both parties agreed to and incorporate terms to make it enforceable. Read on to learn more about California settlement agreements and how San Diego Esquire can help you prepare one. Our settlement agreement drafting service is $595 flat fee. Review our 100% money back guarantee. A settlement agreement is recognized by California law as a legally binding contract made between two or more parties. In a settlement agreement, one party waives their right to bring a legal claim against the other party in return for financial payment. Settlement agreements are voluntary and are usually reached through negotiations. Settlement agreements are commonly used in civil cases such as divorce and personal injury matters. Most settlement agreements are reached before a matter is filed with the court. If a court proceeding is initiated, the parties in the lawsuit may reach an agreement and withdraw the case from the court. Claims Being Settled. The agreement should specify the claims being resolved and released by the agreement. Consideration. The agreement should identify the parties’ respective rights and obligations. When Performance Will Occur. The period of payment should be clearly defined. Release. A release clause in a contract should define that one or more parties agree to abandon, relinquish, or give up rights or claims that otherwise could be pursued or enforced. Dismissal of Pending Claims or Actions. The agreement should specify which lawsuits are to be dismissed with prejudice. Remedies for Breach. The possibility of breach should be addressed in the settlement agreement. The agreement should provide specific remedies if one party fails to timely fulfill its obligations therein. Including a confidentiality clause in a settlement agreement is generally not only a good practice for both parties, but for a defendant, it is a must. Confidentiality clauses in California settlement agreements ensure both parties (including their lawyers) refrain from sharing the outcome of a settlement with the public. Defendants settle cases for a variety of reasons. Good cases are usually settled while bad cases get tried. The defendant will examine the nature of liability and the costs to try a matter when deciding to settle a valid legal claim. In addition, defendants seek to settle cases to avert further litigation. Settling cases helps prevent “me too” litigation. Preventing settlement agreements from being shared also limits information from being used in subsequent settlement negotiations. Plaintiffs accepting confidentiality clauses may obtain added value for settlement. The fact that a defendant desires to include a confidentiality clause may add additional consideration to the financial settlement. Plaintiffs may also seek confidentiality clauses in California settlement agreements to prevent the facts of the case from becoming public knowledge. Effective confidentiality clauses should clearly define that the agreement and its terms are strictly confidential. Confidentiality clauses should also identify what information is to be excluded as “confidential” under California law. The clause should also state that a breach of the agreement may be deemed material and damages may be sought. Contact us for more information about our contract drafting services. We can help you prepare an California settlement agreement for your business or private lawsuit. 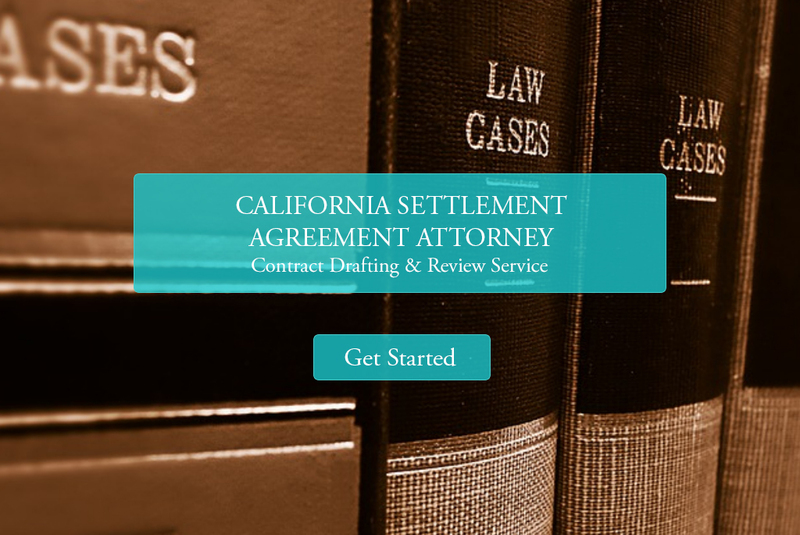 California settlement agreement contract drafting services starting at $595.